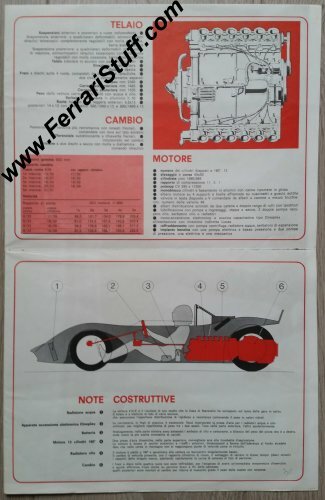 Vintage 1969 fold-out brochure / poster for the Ferrari 212 E Montagna. 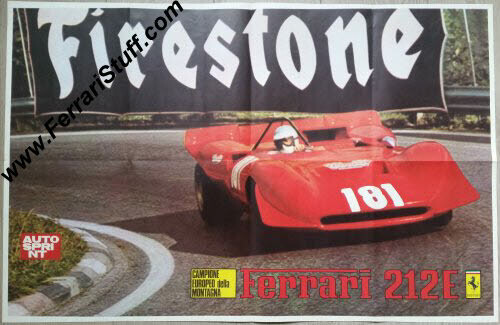 This is a great vintage piece that was issued by "AutoSprint" in late 1969. 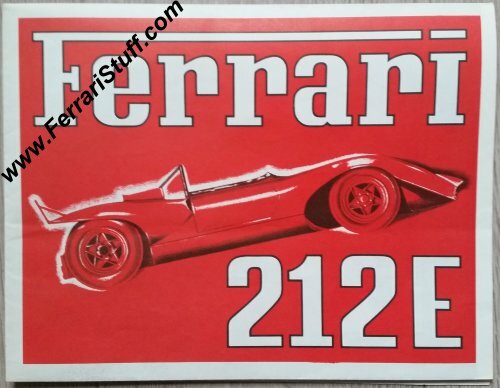 It holds the middle between a "fold out brochure" and a "folded poster". It measures ca. 12 x 9 inches. 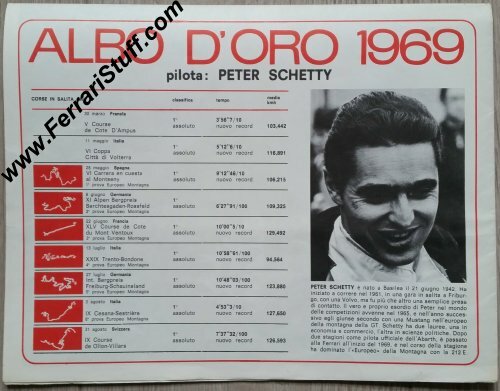 The back lists the 1969 palmares of the car, driven by Peter Schetty in the European Hillclimb championship (winning all the events it was entered in and setting new records at all but one track...) and a picture + short bio of Schetty. This then unfolds to twice the size, showing an analysis of the technical details of the car with two drawings. This AGAIN unfolds to AGAIN twice the size (so 4 times the original size now!) and shows a ghost view of the car, drawn by Fabrizio A. Dell'Acqua. This unfolds one more time (8 times original format now!) to show a great picture of the car in action, wearing race number 181 during its final race in the 1969 season and final race with Schetty at the wheel during the Ollon-Villars mountain climb in Switzerland on August 31, 1969, settling the 10-race championship in a record breaking 9 races. 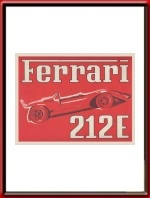 Of course Schetty set a record time at this race and it would stand for an incredible 13 years, until 1982!. 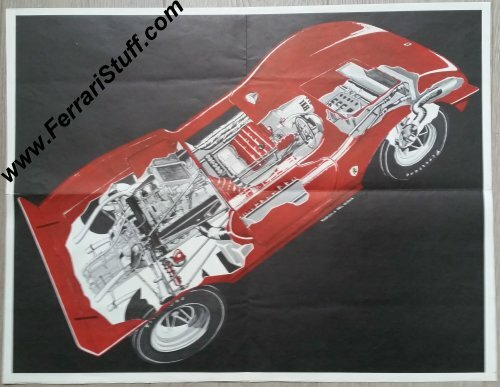 So, in total this "inside" poster measures some 36 x 42 inches!